Back when I was running the catering business, my favorite, and most rewarding of our contracts, was with a private elementary school here in the Portland area. 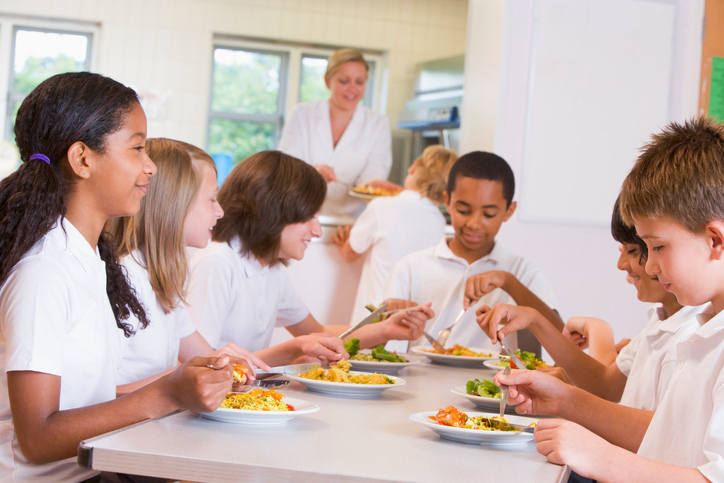 Tired of poor lunch choices, we were contacted by a parent who was interested in finding healthier school food options for her children. As a small operation, we hadn’t even considered developing a school lunch program, but parents were so eager to provide better food options for their children that we created a program specific to the school’s needs. Surprisingly, we found that the children were just as interested in eating healthier options as we were to provide them. Our menus were similar to standard school offerings – simple and kid-friendly, with recognizable selections – except for a distinct difference in the quality of ingredients: pizzas with whole wheat crusts and local organic vegetables, whole grain pastas with hormone-free meatballs, non-traditional menu items like couscous, brown rice, baked non-breaded chicken bites. Interestingly, even with the differences, we received regular praise from parents excited over their children’s interest in healthier food items. Kids who had never enjoyed certain foods were starting to ask for them at home. Many developed a taste for foods they had never tried before. Over the course of the two years, word spread about our little program, with nine additional local schools inquiring about developing similar operations. Though we were too small to facilitate all of the requests, it was clear that there was both a need and a desire within the community to provide healthier school lunches.